Recently we reported that Samsung and Huawei are in a rush for grabbing the title of world's first foldable smartphone, meanwhile other popular Chinese smartphone manufacturers are way behind in achieving this technology. Now today Wall Street Journal has reported that Samsung is aiming to launch the foldable smartphone in early 2019, hoping to beat Huawei as the first company with foldable smartphone on the market. Recall early reports suggest that the company is expected to unveil its foldable smartphone at the CES 2019 event held in January. According to the new report foldable smartphone will have a 7-inch display and it will fold in half “like a wallet”, with an aspect ratio close to 4:3 which will provide a significant increase in screen area. There will be a small secondary display on the outside which will give information like date, time, weather and call/message notifications without unfolding the smartphone. The main camera (or cameras) will be on the other half of the device. 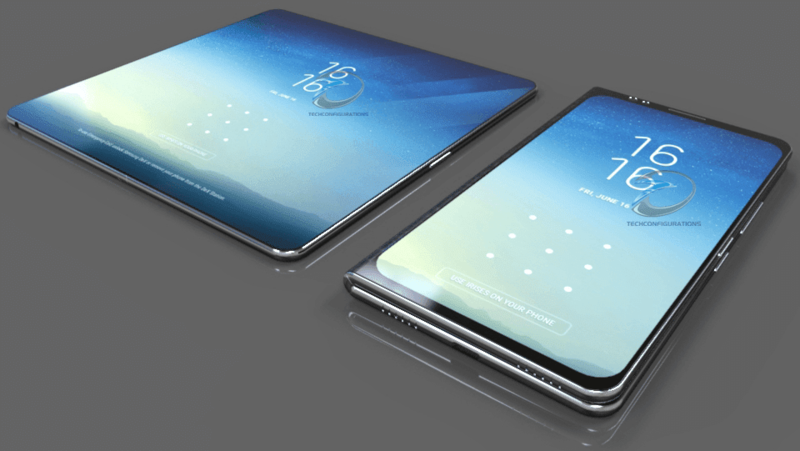 Samsung has been working on developing smartphones with foldable screens since 2014, so its fans are desperate to seen the foldable smartphone in the market. Recent report has suggested that Samsung will produce only a limited amount of foldable smartphones at first, to gauge the market response like they did to the Note series, and if it become successful Samsung will go ahead with large scale production. So it seems the early adopter of this foldable smartphone, would surely need to to pay a hefty amount of money for it.